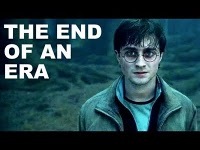 July the 15th will see the release of the last of the Harry Potter movies, Harry Potter and the Deathly Hallows: Part 2, which makes me very excited and yet sad. My daughter and I have been waiting quite some time for this final chapter to come to the screen. In fact it has been over 10 years now that together we have shared the magical experience of growing up with Harry Potter and his friends. And in those 10 years while much has changed with our Hogwarts’ family, as far as their lives and on going adventures are concerned, it is their underlying understanding of “how to make the impossible, possible” that has not. THE REAL MAGIC IS IN BELIEVING! What The Mind Can Conceive And Believe It Can Achieve! It was mid November and Harry Potter the Movie had just been released. My five year old daughter Jacqueline, like so many other tots, was caught up in the TV promotions providing glimpses of the movie magic that was to be had; cats turning into teachers, magical delivery owls, and broomsticks that could fly a wizard anywhere. Because of my daughter’s unique exposure to Daddy’s business with the art and science of magic, it was fascinating to study her reactions. Please keep in mind that this is a young lady who has grown up seeing her father actually fly, magically turn people into tigers and even make Santa appear out of thin air; all in real time and with the ease that Uncle Joe might pull a quarter out of your ear. And she is now well aware it is a special family business. One morning as I was driving her to school (St. Phillippe not Hogwarts) she pronounced, “Daddy… I am magic just like you.” “I know Jacqueline” I replied. “NO DAD, I mean I am real BIG magic just like you do,” she countered. “Yes you are Jacqueline”, I reassured her. We drove in silence for a few minutes with Jacqueline gazing out the window. Then out of the blue she quietly confessed, ” but Dad, I forgot how to fly. Can you please teach me how to fly again!” “Of course I can Jacqueline,” I smiled. Oh to be 5 again and to believe that all things are possible! In this magical realm reindeers and wizards fly with the grace of gazelles, all stories have happy endings and nothing is impossible! However contained in this childhood belief that nothing is impossible is the powerful, simple secret for actually achieving the impossible; for creating our own real magic. It is the passionate belief that anything can be achieved. If you really want something badly enough; if you are willing to work at it and never, ever give up until you get it, you will achieve your goal. You will see your dream brought to life. You can turn the impossible into the possible! The crazy part is we are all BORN KNOWING THIS, but somehow over the years as we grow (?) we can actually forget THIS!! Yes just like Jacqueline we can forget how to fly, how we can do the impossible, and that we can make our dreams into reality. We started off learning how to crawl – then to walk – – feed ourselves – potty train (thank God) – speak – run – read – write – all monumental tasks at first encounter. However they were achieved as we stretched our muscles, taxed our reflexes, challenged our minds and will, went for the impossible, and never gave up! To get our results nothing was too heavy to lift, no distance too long to go, no obstacle too great, and NO always meant YES! Failure was not an option. We just simply never gave up. If you have ever been with a 5 year old who wants a toy or a candy YOU KNOW WHAT I MEAN!! Slowly they challenge our mettle. They question our belief in what can be done, and IF it can be done at all! Their disbelief can act as an evil sorcerer’s potion, which if enough consumed, can sour our own magical spirit! Perhaps the real trick is to grow up without out growing our childhood belief for unrestricted achievement. For us to know about, and especially constructively contribute to, the real world; but to use the world’s rules to help develop our own goals for achievement. And to never, EVER give up. Remember the “art of magic and achieving the impossible” is to use the existing limitations of life to help provide the answer. Every limitation and obstacle suggests and implies its own solution. What results can you achieve in your life, vocation or business that at first may seem impossible? How can you help others and benefit yourself by growing out of your level of comfort? What childhood secret desire have you had that you never pursued? What can you do right now that can make a difference? Follow your own path. Seek your own answers. Create your own real magic. PS: I did teach Jacqueline how to fly again.